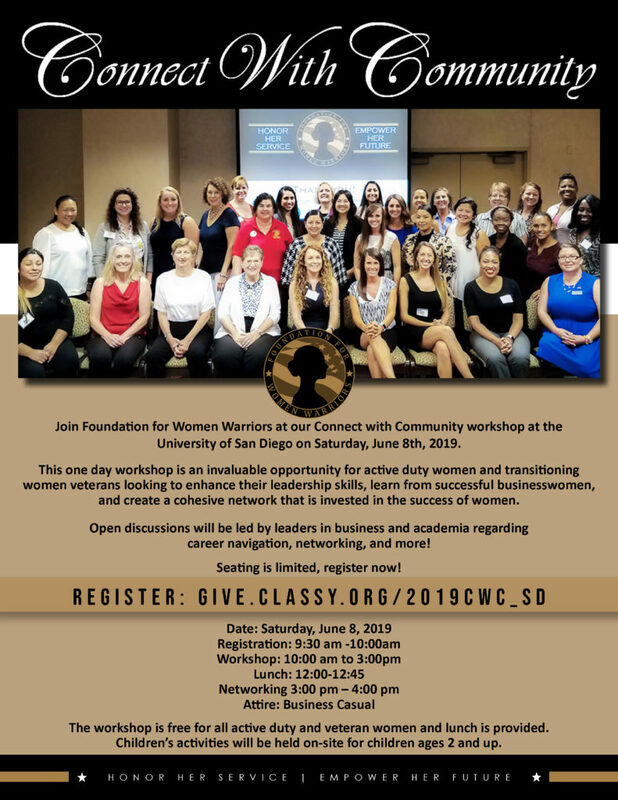 Join Foundation for Women Warriors at our Connect with Community workshop! This one day workshop is an invaluable opportunity for active duty women and transitioning women veterans looking to enhance their leadership skills, learn from successful businesswomen, and create a cohesive network that is invested in the success of women. Open discussions will be led by leaders in business and academia regarding career navigation, networking, and more! The workshop is free for all active duty and veteran women and lunch is provided. Children’s activities will be held on-site for children ages 2 and up.